I hope everyone's enjoying the decidedly wintry season - and I also hope you've been able to make it to the Holiday Market in Lincoln Square Village in Urbana, because there are still plenty of local producers to support. 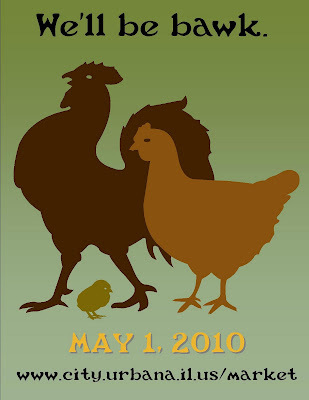 Better get out there, though - this coming weekend is the final Holiday Market of 2009. Then it's time for a long winter's nap. Or something. 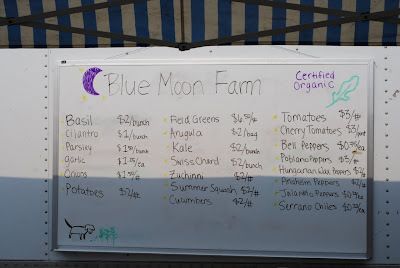 The goats of Prairie Fruits Farm - one of our many popular vendors during the Market season - have been, um, busy in the offseason. Most of the does are pregnant, and they'll deliver their kids in March, April, and May. Hey, goat ladies - how ya doin'? 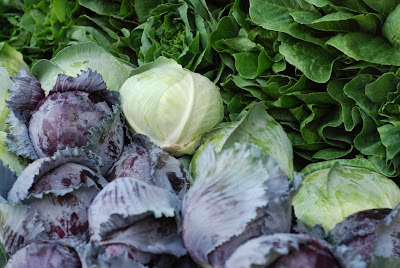 For those of you interested in such things, our very own Sprouts at the Market has its own Facebook page and Twitter feed. We're working on some amazing projects for the 2010 season - I'll tell more as soon as details get firmed up. 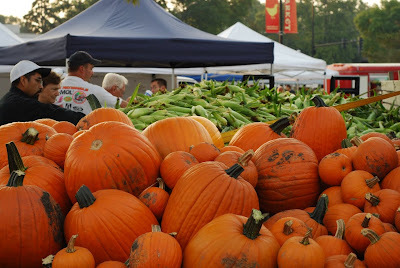 The Market opens in 135 days! 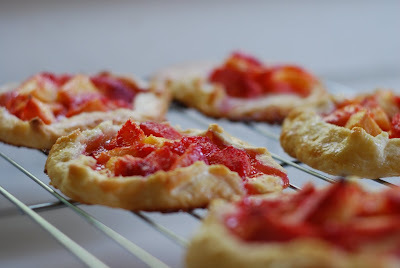 We're pretty corn-centric on the blog these days. For good reason, though - this year's sweet corn, when it finally arrived, has been juicy and sweet but not too-cringingly so. It's been good raw, on the grill, boiled with a little bit of milk, on the cob, off the cob, buttered, plain. 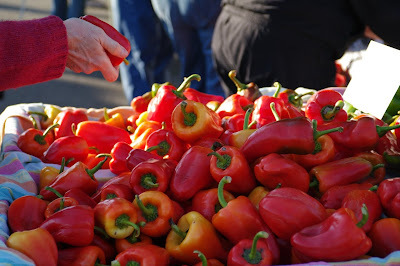 I've bought some from nearly every vendor who's had it this year (there were about 5 or 6) and all of it, from Peoria to Effingham, was delicious. 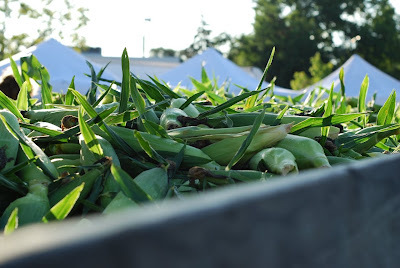 Corn was also the featured edible at last week's Sprouts at the Market event. And this weekend, corn is going to reign supreme. Yes, it's time. The Urbana Sweetcorn Festival - featuring corn harvested in Illinois - gets underway tomorrow evening in downtown Urbana, and the party continues on Saturday. 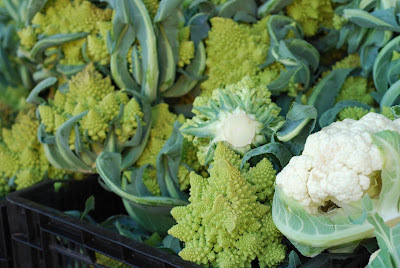 Market at the Square goes on in its usual place (corner of Illinois and Vine) at its usual time (7 AM - noon), and we'll have vendors selling this mighty vegetable/fruit/grain (seriously!) for home preparation. Get thee to Urbana this weekend! Speaking of Sprouts, we had a record turnout at last weekend's installment. We'd like to thank Common Ground Food Co-op, Jim and Carol Toler (they do the kettle corn in row 3), and Mark Schottman (he sells corn in Row 3) for their generous food donations for the Sprouts event. THANK YOU! 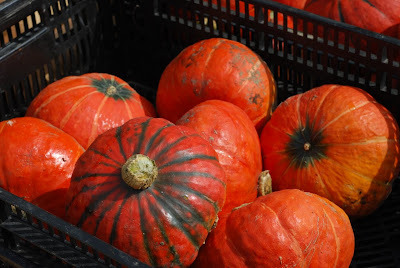 The next Sprouts event will be a trick-or-treat of sorts on Saturday, October 24. More info soon - we might even get Sprouts its own blog, so keep your eyes peeled. 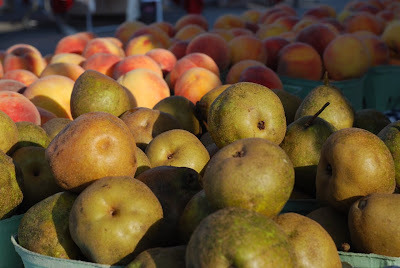 This Week's Food: You can expect a lot of sweet corn, peaches & nectarines, some plums, early apples, pears, cucumbers, beets, zucchini and summer squash, eggplant, mushrooms, onions, basil and other herbs, kale, arugula, leeks, shallots, garlic, potatoes, melons, cabbage, lettuces, peppers (hot and sweet), heirloom tomatoes, carrots, broccoli, cauliflower, and much more. 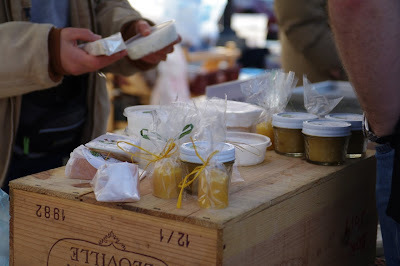 Don't forget the wide selection of baked goods and prepared foods, plus meat, cheese, eggs, and honey. YUM. This Week's Events: Carle Foundation Hospital will be out at the Market this weekend to launch their year-round medical waste acceptance program. Look for them at the east end of the community groups row to drop off your medical waste and pick up some free gifts while they have them. 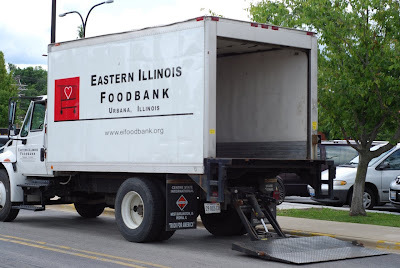 Also, look for Urbana Fire Rescue at the NW entrance to the Market - they'll have one of their trucks with them, stickers for the kids, but most importantly, they'll be trying to "fill the boot" for the Muscular Dystrophy Association. 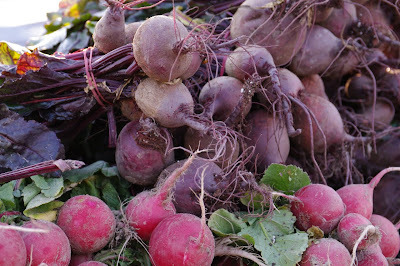 September 5 - Terra Brockman, author and founder of The Land Connection, will be speaking to visitors and signing advance copies of her new book, The Seasons on Henry's Farm. More info next week! 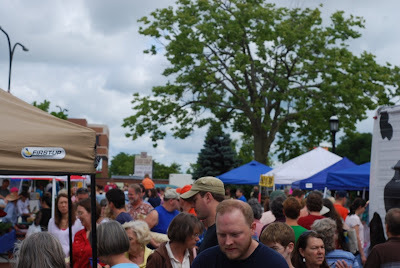 September 12 - Art at the Market - artist and activity TBA. September 19 - The University of Illinois women's soccer team will be on hand at the Market to help you with your soccer skillz, sign some posters, give away some merch, and maybe a few tickets. The soccer squad is a University sports team well worth watching - they're top-tier athletes and really nice women who also happen to be TOUGH AS NAILS. September 19 - U-Cycle will be out for Recycl-ympics! Details soon. 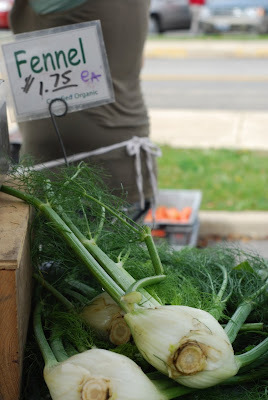 Last but not least: the listing for the Market at LocalHarvest has been updated - find it here. Leave feedback! Love us up! As I write this, University of Illinois Student Move-In has begun - and while it's generally a good time for non-University folks to avoid campus (mainly to let the new and returning people do their thing without getting in the way), Market at the Square would like to extend a warm welcome to town AND an invitation for our new friends to come our way instead! Last week was one of the great Markets of the season so far - we had a really successful Art at the Market event thanks to our Public Arts Program, the weather was good, vendors and visitors seemed to be having a good time, there were watermelons and tomatoes and peaches and just about every kind of vegetable imaginable. We really are lucky to live on top of some of the best dirt in the world, because the harvest, when it comes (and it's here), is incredible. 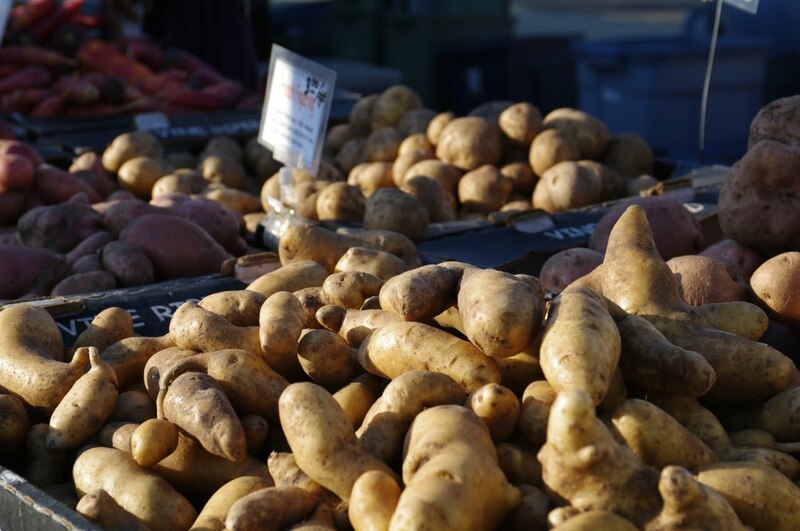 This week's weather promises to be even more delightful, and as of this writing the Market is at capacity for vendors - at least 90 proprietors of all kinds are scheduled to be at the Market this weekend, and it is seriously going to run the gamut. 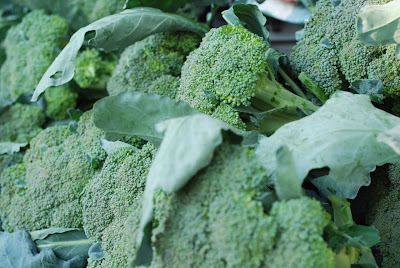 Additionally, we have another installment of Sprouts at the Market - bring your kids anytime between 9-11 AM, and they can sign in at the Sprouts tent or at any Sprouts table sporting the Sprouts chick symbol. The theme this month? Well, it's CORN. Kids will learn about corn's versatility and its nutritional benefits; they'll also be able to chat with corn grower Mark Schottman and sample corn in a few of its many forms, thanks to Mr. Schottman, Toler's Kettle Corn, and Common Ground Food Co-op. 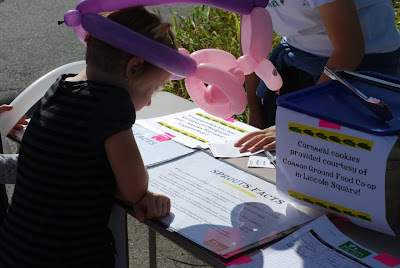 Every kid gets a certificate of participation, and shirts are for sale. Many thanks to Jen Hewitt for helming this project - she and her crew of volunteers do an awesome job. Just a quick reminder that Urbana's SweetCorn Festival takes place in downtown Urbana August 28 and 29. 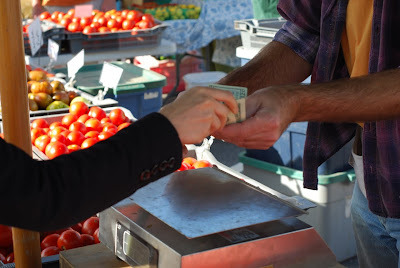 All corn served at the festival will be from an Illinois source this year - two for a buck! Should be awesome. I'm posting the weekly update a little early this week due to the swelling tide of projects getting underway as we approach the beginning of the, uh, SCHOOL YEAR. Hard to believe it's already time for that, especially given the lack of true summer weather we've been having. 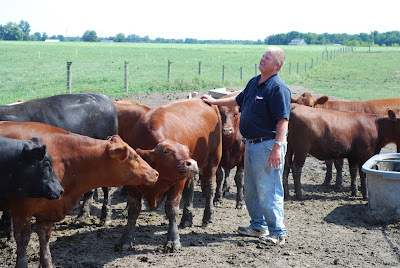 It's totally obvious that Stan really cares about what he's doing and the animals he's raising. 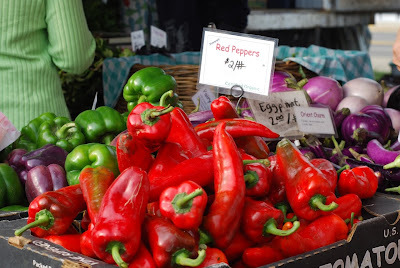 For more photos of my visit you can go here, and if you want to talk to Stan himself at the Market, he's there every Saturday at the east end of the row alongside Illinois Street with the red tent. Say hi to his intrepid help, Greg and Quinton, when you get there. OK! 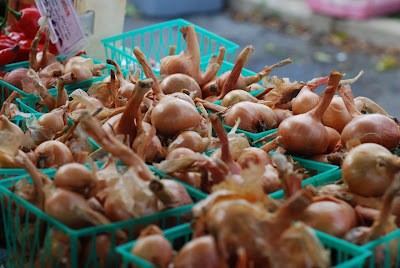 Let's talk about Art at the Market. 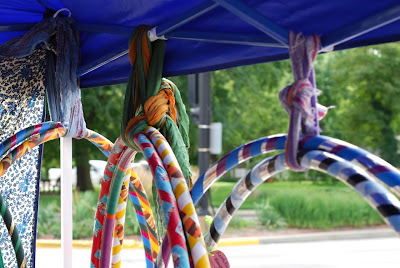 This week, Urbana's Public Arts Program is back with its monthly Art at the Market session. If you're not familiar with the sessions - they're awesome. Program Coordinator Anna Hochhalter brings in a local artist to facilitate a hands-on, open-to-everyone event where the end product is... art! This weekend, participants will be learning how to make marbled paper with the help of Urbana artist David Black. Things get going at 8 AM, but the workshop is continuous through noon, so come when you want! Registration is not required, and it's totally free. If you have questions, call Anna at 217-384-2311 or email her here. While we're at it, let's talk about art at the Market. We have a lot of artisans busting out their best wares this weekend - Hooey Batiks, MegaMoxie, Piece By Piece, Berry Good Things, Farmboy Artworks, Glass Act, Michelle Faires, Mary Kemmer, Uptown Concrete, Kickapoo Woodworks, Miss Linda's Universe, Twin City Crafts, Queen Anne's Lace, Manrique Photography, Firefly Jewels, Barnyard Calico, Fields of Fall, Calico Creatures, Urbana Leather, Fun Art, Handmade Soaps by Laurel, Elisa Enriquez, Goose Creek Farm, Juniper Moon, The Farmer's Daughter, John Coppess Leather, Cards and More, Garnets & Glass, The Stamp Lady, Hannah's Heavenly Harvest, Izabela Rayski, Liddia Stevens, Cindi Adkins, and others. 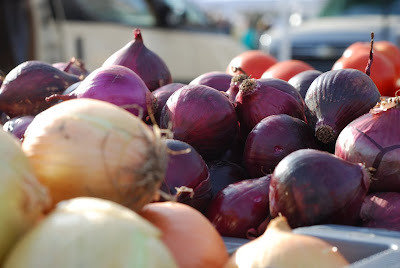 While a farmers' market is naturally about food, having artisans and performers at our Market enhances it and gives it more depth - I believe it helps the Market become an actual place where things happen instead of a parking lot where stuff gets bought. Art in the public square is important for communities, so I'm happy to be working both with Anna and the Public Arts Program and a bunch of talented people out at the Market. But, of course, we must bring the conversation to food. First off, it's melon time. 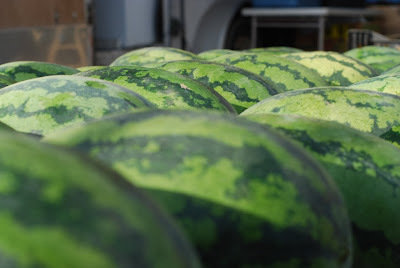 We've had a few melons here and there over the past two weeks, but we're galloping headlong into melon season now and we should have plenty this weekend. 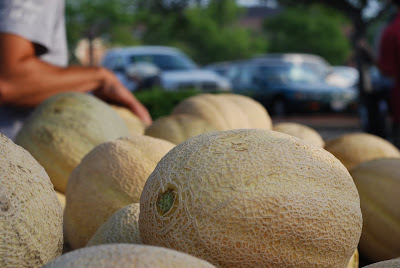 Look at these Kleiss cantaloupes - GIGANTIC. 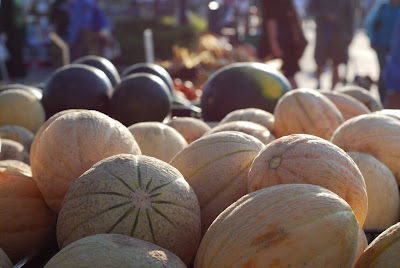 The scent of melons mixed with tuberose (first stems in last weekend, more this weekend at Owens', in row 2) is one of my favorite scents in the known universe, a true hallmark of summer's end approaching. 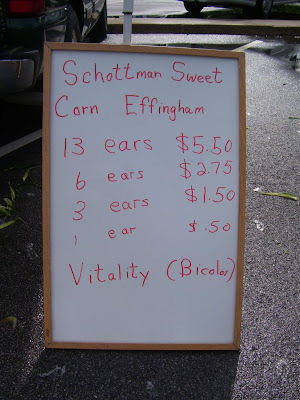 I have to mention sweet corn here - we have several vendors selling high-quality sweet corn this season. 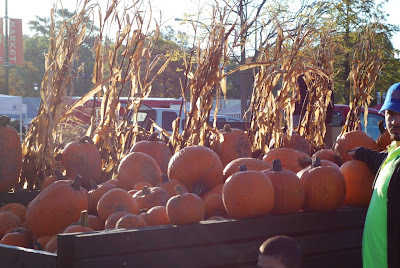 Two vendors bring in a lot of corn - Kleiss Produce (Row 1) and the Schottman Bros (Row 3). 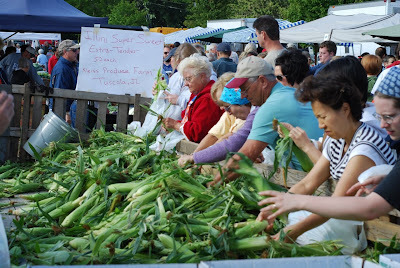 PLEASE REMEMBER that you can also find excellent sweet corn from smaller producers in rows 4 (O'Rourke Family Gardens and Bratcher's Gathering Place) and 5 (Bob Cambridge, Roth Countryside Produce). Market staff spend a lot of time walking the Market, checking on things, so come ask us if you're having trouble locating corn. We can help you out. 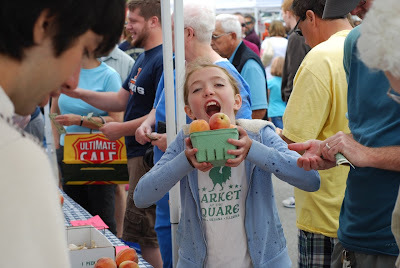 As for peaches, this will be Sager Farms' last weekend with us for the 2009 season - check their stall along Illinois Street for their final peaches and maybe a few berries. Eberlin Orchard, Mileur Orchard, and Cary's Garden of Eatin' still have stone fruit available and will be around in the weeks to come. 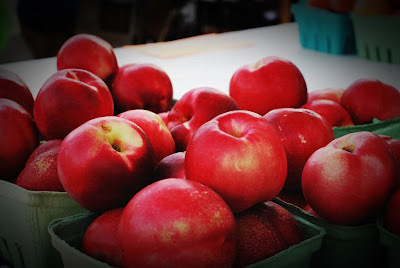 Mileur Orchard and Cary, along with Kleiss and Bob Brackett, have some apples ready now - another sure sign we're transitioning to a new season. 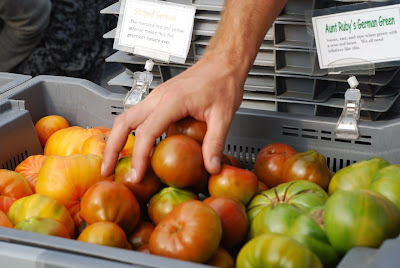 Heirloom tomatoes and other summer vegetables are at their peak. There are literally walls and mountains of absolutely gorgeous produce scattered all throughout the Market - not just the first row. 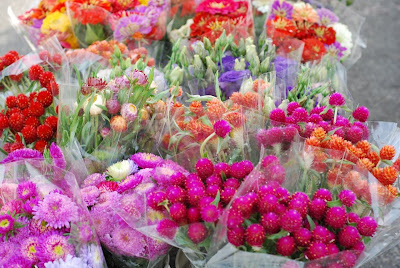 Do yourself a favor and wander the entire Market this weekend - you won't be disappointed. 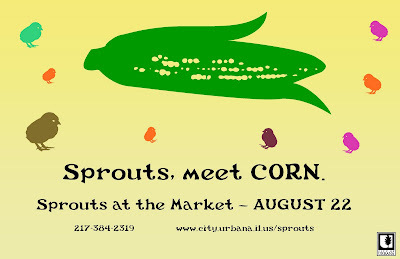 Next weekend: Sprouts at the Market - all about corn! This is what we call Crazy Time. It's peak season, so our attendance is highest, and there's a lot going on with the Market. 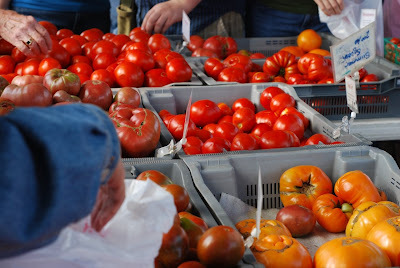 This weekend's Market includes a bike rodeo, a mentoring event, truckloads of corn, many varieties of heirloom tomatoes, the first appearance of melons, etc. More info on all of that below. Food. 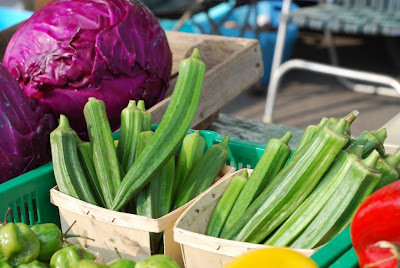 You can expect a lot of sweet corn, peaches & nectarines, berries (especially blackberries), early apples, pears, cucumbers, zucchini and summer squash, eggplant, onions, potatoes, melons, cabbage, lettuces, peppers (hot and sweet), heirloom tomatoes, carrots, broccoli, cauliflower, and much more! 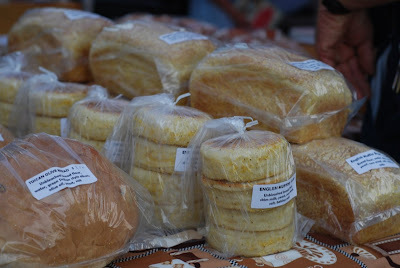 Don't forget the wide selection of baked goods and prepared foods, plus meat, cheese, eggs, and honey. 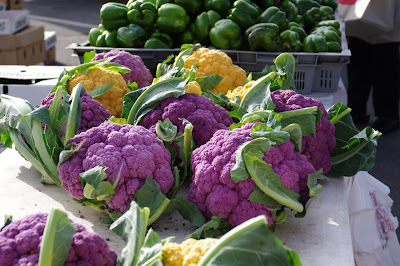 It's National Farmers' Market Week. 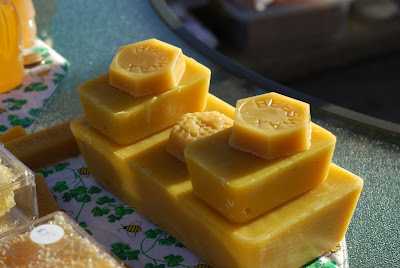 Come say hello at the City tent, tell us what you like about our Market, etc - show us some love on Saturday! 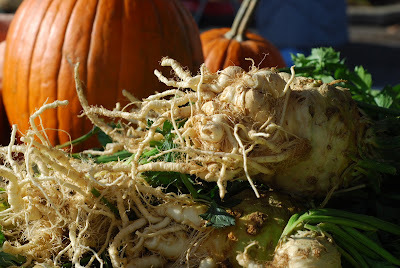 More info about National Farmers' Market Week here, and you can read Secretary of Agriculture Tom Vilsack's proclamation here (it's a PDF). Posters for sale. 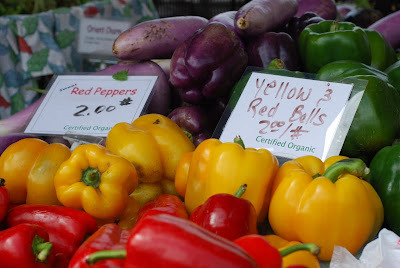 You can get your very own Market poster (see right) for the low, low price of $2.00. These are limited to 100 copies and are numbered - we have them at the City tent at the NW entrance. Available while supplies last! Bike Rodeo at the Market. C-U Safe Routes to School is sponsoring another Bike Rodeo at the Market! Adults and kids are welcome - do the safety stations on bikes, get fitted for new helmets (helmets are only $10 while supplies last), and learn all about sharing the road. 9:00-11:30 AM. More info here (PDF). Mentor Morning at the Market. People currently mentoring students in C-U schools are invited to stop by the Mentoring booth at the north end of the market. They will receive a badge identifying themselves as a mentor and the first 80 mentors will also receive a gift certificate for an item donated by one of the Market Vendors. Peaches, brats, organic produce, jewelry, homemade soap, flowers, fresh bread & jam are just a few of the items vendors have generously donated for mentors. Anyone interested in mentoring a C-U student for an hour per week during the school day is invited to stop by the Mentoring Booth for information or get more info here. Second Saturday. The Urbana Business Association's Second Saturday event starts at 10 AM and runs through mid-afternoon. 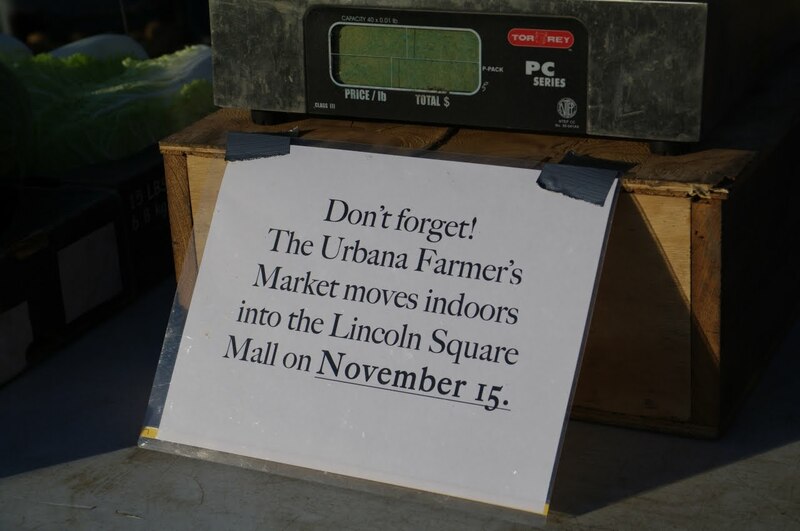 Shop the Market, then head just a few blocks north to Urbana's downtown for more vendors and food. More info needed? Call the UBA at 344-3872. Art at the Market, 8/15. Stay tuned for more details about this much-loved Market special event! Sprouts at the Market, 8/22. This month's event is all about... corn. More details next week! We're really enjoying Crazy Time. Hope to see everyone out there - it might be warm, but with some water and some sunscreen, you'll be in good shape!